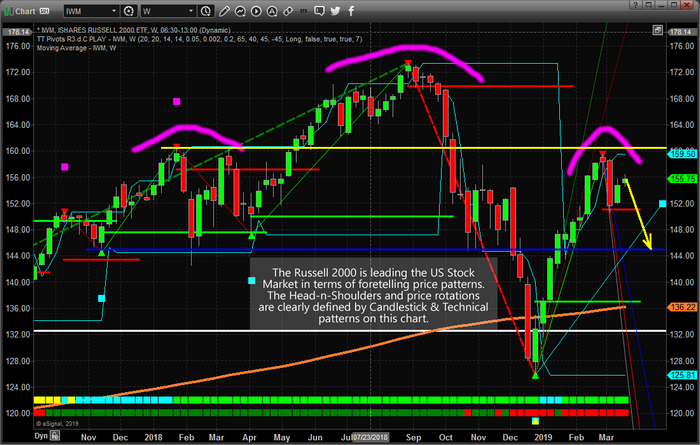 The IWM setup indicates we may only see a 5~7% downside price swing before support is found. We'll have to watch how this plays out over the next few weeks/months to determine if the $144.25 level is true support or if the lower $137.00 level will become support. Either way, the downside price swing appears poised to unfold over the next few days/weeks – so be prepared.